This is what Bill had to say: "After working with SQL Server 2005 I've discovered that I can't script out one object per file and include both the DROP and CREATE in the same file. Which is driving me absolutely crazy! So I wrote a little utility and thought I'd share it." SQL Server 2005, Microsoft's next-generation data management and analysis solution, represents a huge leap forward. It comes with a myriad of changes that deliver increased security, scalability, and power--making it the complete data package. Used properly, SQL Server 2005 can help organizations of all sizes meet their data challenges head on. Programming SQL Server 2005 from O'Reilly provides a practical look at this updated version of Microsoft's premier database product. It guides you through all the new features, explaining how they work and how to use them. The first half of the book examines the changes and new features of the SQL Server Engine itself. The second addresses the enhanced features and tools of the platform, including the new services blended into this popular version. Each chapter contains numerous code samples-written in C# and compiled using the Visual Studio 2005 development environment-that show you exactly how to program SQL Server 2005. Because the goal of Programming SQL Server 2005 is to introduce all facets of Programming SQL Server 2005, it's beneficial to programmers of all levels. The book can be used as a primer by developers with little or no experience with SQL Server, as a ramp up to the new programming models for SQL Server 2005 for more experienced programmers, or as background and primer to specific concepts. Any IT professional who wants to learn about SQL Server 2005's comprehensive feature set, interoperability with existing systems, and automation of routine tasks will find the answers in this authoritative guide. I forgot to add one other example, and this is when you have an excel file open and you are trying to open it with OPENROWSET. To upgrade SQL Server 2005 Express Edition, obtain the SP1 CTP version of Express Edition. OLE DB error trace [OLE/DB Provider 'Microsoft.Jet.OLEDB.4.0' IColumnsInfo::GetColumnsInfo returned 0x80004005: ]. Could not process object 'Select * from [Sheet11$]'. The OLE DB provider 'Microsoft.Jet.OLEDB.4.0' indicates that the object has no columns. OLE DB error trace [Non-interface error: OLE DB provider unable to process object, since the object has no columnsProviderName='Microsoft.Jet.OLEDB.4.0', Query=Select * from [P2 2003 DJIA updates$]']. Server: Msg 201, Level 16, State 4, Procedure prTestOptionalParameters2, Line 0Procedure 'prTestOptionalParameters2' expects parameter '@intID', which was not supplied. 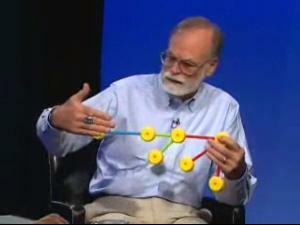 Channel 9 has an interesting video with Turing award winner Jim Gray. From the website: "This episode features Jim Gray. He is a "Technical Fellow" in the Scaleable Servers Research Group (Sky Server, Terra Server) and manager of Microsoft's Bay Area Research Center (BARC). Jim has been called a "giant" in the fields of database and transaction processing computer systems. In 1998, Jim was awarded the ACM’s prestigious A.M. Turing Award. Before joining Microsoft, Jim worked at Digital Equipment Corp (DEC)., Tandem Computers Inc., IBM Corp. and AT&T and he is the editor of the “Performance Handbook for Database and Transaction Processing Systems,” and co-author of “Transaction Processing: Concepts and Techniques.” In this interview, Jim is joined by former colleague from DEC and partner on the Terra Server project, Researcher, Tom Barclay." Pro SQL Server 2005 Assemblies provides a detailed and example-driven tutorial on how to build and use .NET assemblies. The authors focus on building assemblies in C#, but also provide the equivalent VB .NET code in the supplied code download. Assemblies are not a complete replacement for T-SQL stored procedures and triggers; rather, they’re enhancements, to be used at the right place and right time. This book examines the ins and outs of assemblies—when they should and should not be used, what you can do with them, and how you can get the most out of them. Below are the top 5 posts according to Google Analytics for all time! !